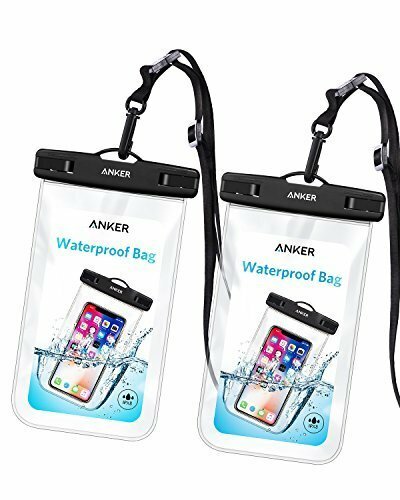 Anker Universal Waterproof Case (2 Pack) PRICE DROP!! Limited Time!! Effortless Use: High-clarity, ultra-sensitive PVC offers seamless use of your phone's touchscreen and camera-even underwater. What's In The Box: Anker Waterproof Phone Pouch x2, Neck Strap x2, our worry-free 18-month warranty and friendly customer service.